Overall-Grouping is a special group made up of only other groups. Several other bulk actions, such as sending out an email for a sick day to some or all classes. --- For more information, please see: Moodle Docs. 1. Log in to Moodle. 2. Click the Groups option under Users in the Administrative widget on the left hand side of your screen. 3. Switch over to the Groupings tab at the top of the screen. 4. Select the Create grouping button at the bottom of the screen. 5. 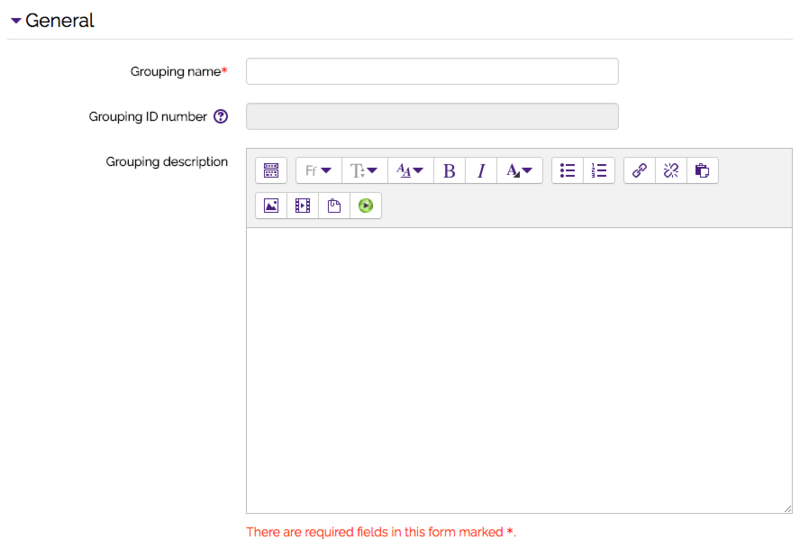 Fill in the general information for the group and label your grouping 'Overall Grouping'. 7. 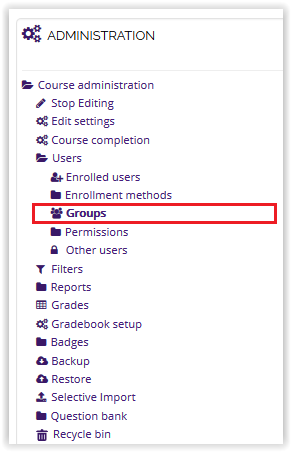 The grouping that was just created will now appear in the list of groupings for the course. 8. Under the Overall Grouping open, select the Show groups in grouping button (far right) under the Edit header. 9. 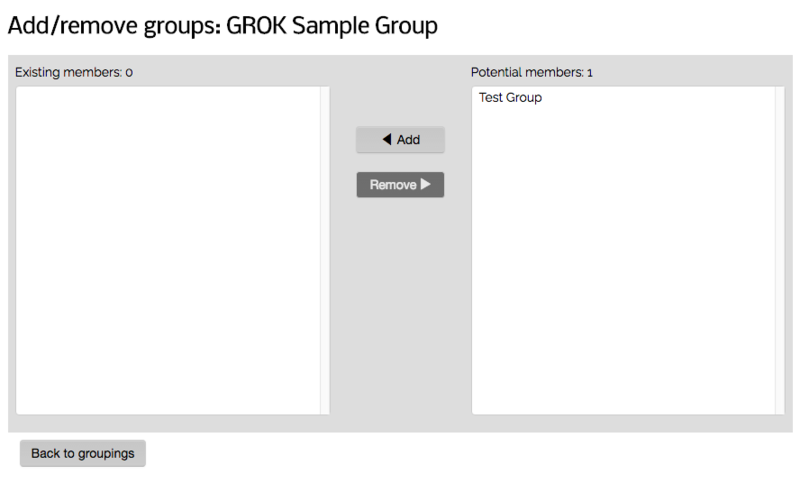 On the Add/Remove Groups screen, click the all of the groups from the potential members field box on the right and select the Add button in the middle to include it in the grouping. 10. Click the Back to groupings button at the bottom left to save. 11. Your Overall Grouping is now completed.